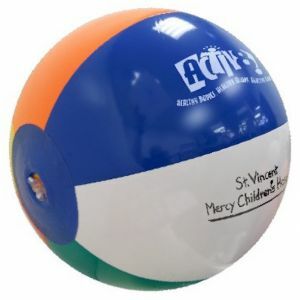 We provide promotional 6" beachballs, which are palm sized beachballs ideal for kids and adults alike. They are perfect for outdoor and indoor events. Our lead time is very fast and we consistently deliver quality at low prices. 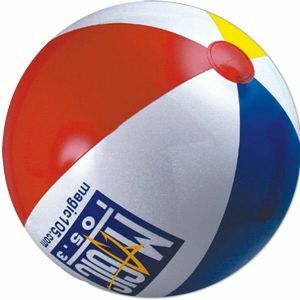 Our 6" custom beachballs are available in several unique colors to make your brand stand out. These small sized inflatable beachballs are light enough to be placed on anyone's palm. They can be pumped up to 6 inches in size (measured from pole to pole, so approx 3.82 inches in diameter) and will absolutely be the center of attraction at the beach, parks, and other fun outdoorsy occasions! Our customized 6" beachballs are well suited for kids of all ages. These inflatable printed beachballs are smaller in size, than our classic 16-inch size balls and can be tossed and thrown without hurting anyone. Your children and clients will have a great time, enjoying and having a ball with them at your event. Your attendees and customers will love these cute giveaways! Apart from the company’s events, our 6 inch personalized beachballs are also well-suited for highly personal occasions and parties, such as children's birthday parties, baby showers, your best friend's wedding shower, and so forth. We have many customers who use these adorable branded beachballs so creatively to immortalize their events in their guests' minds. Our custom 6" beachballs have very low set-up price and super quick production times. If you have a situation where your event is coming up soon and need these imprinted beachballs in a hurry, do not sweat! Call us or place your order as a rush online, and we will make it happen for you! Hurry up, order these beautiful custom printed beachballs today.